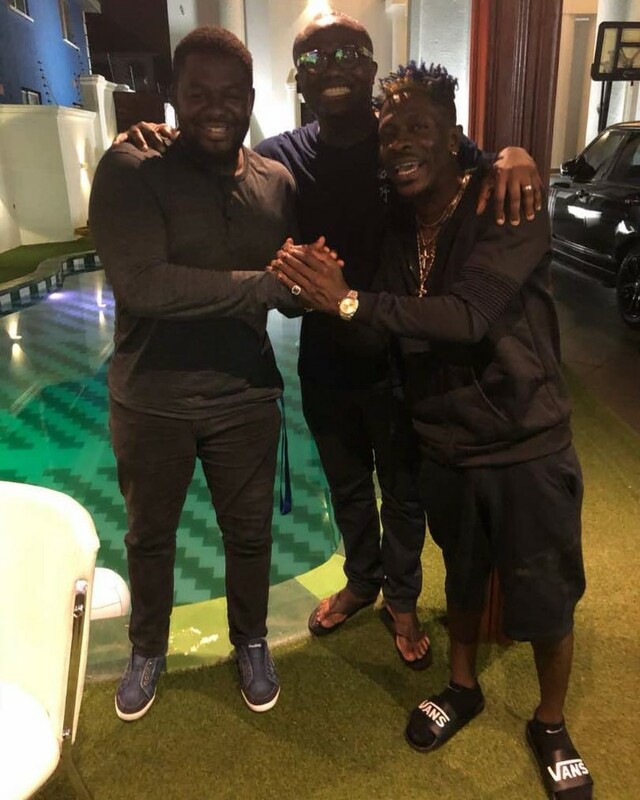 Recently a trending photo came out showing ‘dancehall king’ Shatta Wale and his former, estranged manager Bulldog together, joined by EIB CEO Bola Ray. The photo sparked off speculations that the two former enemies had reunited but evidently that’s surely not the case. Lawrence Nana Asiamah Hanson, aka Bulldog, has sought to clarify the air about the picture, essentially saying he was forced to take it because his boss wanted it. Speaking to Joy News’ MzGee, Bulldog, who currently works with Zylofon Media, said CEO Nana Appiah Mensah set up the meeting with Shatta and wanted them to take the picture. “What I can say about that picture is that, my boss Nana Appiah Mensah had a vibe with him (Shatta) and invited me over and that picture took place. “So basically that picture you saw happened because of Nana Appiah Mensah of Zylofon media and not because I wanted it,” he said. Seems the much talked about reunion is dead on arrival.